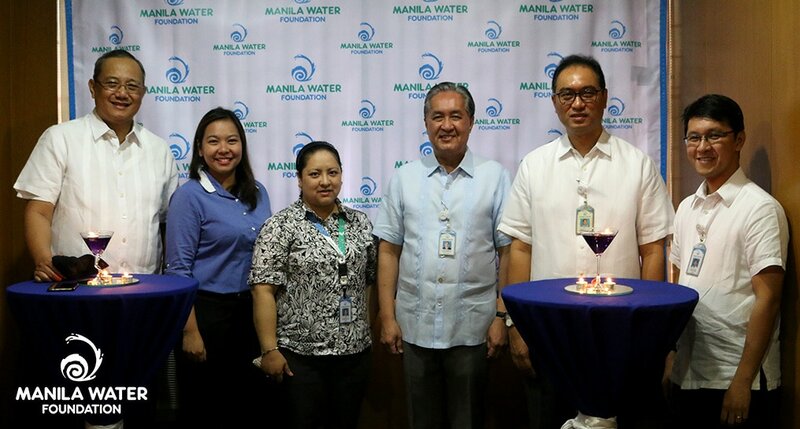 After transferring to its new office at SEAMEO INNOTECH on Commonwealth Avenue earlier this month, Manila Water Foundation formally opened its doors for an office blessing and warming attended by Chairman Gerardo C. Ablaza, Jr., President Ferdinand M. Dela Cruz, Member Virgilio C. Rivera, Jr., Asst. Treasurer Karoline C. Sangalang, and Corporate Secretary Gerardo M. Lobo II. MWF Executive Director Carla May Beriña-Kim led her team in hosting the simple event that began with a short blessing officiated by Rev. Fr. Daniel Mondol and ended with an intimate brunch. This small yet significant milestone serves as a prelude to bigger and groundbreaking ones that the men and women of the Foundation hope to achieve in their new workplace. The Foundation now holds office at the Ground Floor, SEAMEO INNOTECH, Commonwealth Avenue, UP Campus, 1101 Diliman, Quezon City and can be reached through direct line (02) 952-1403. 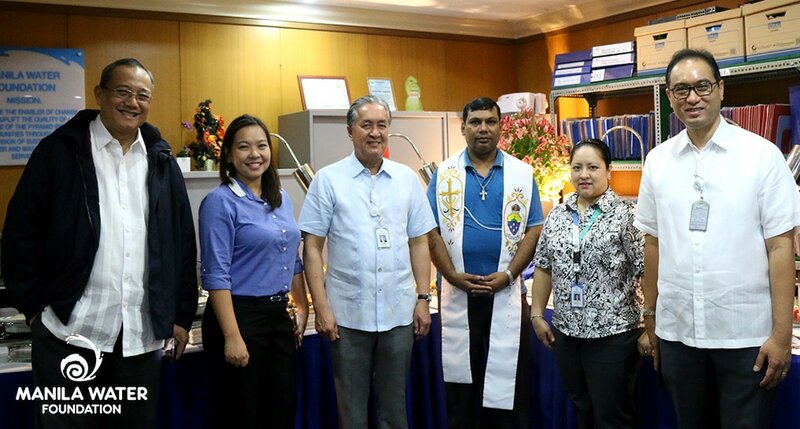 MWF key officers pose with Rev. Fr. Daniel Mondol (3rd from right) after the short office blessing. In the photo are (from left to right) MWF Member Perry Rivera, MWF Assistant Treasurer Karoline Sangalang, MWF Chairman Gerry Ablaza, MWF Executive Director Carla Beriña-Kim, and MWF President Ferdz Del Cruz. The men and women of MWF are all smiles after the office blessing. 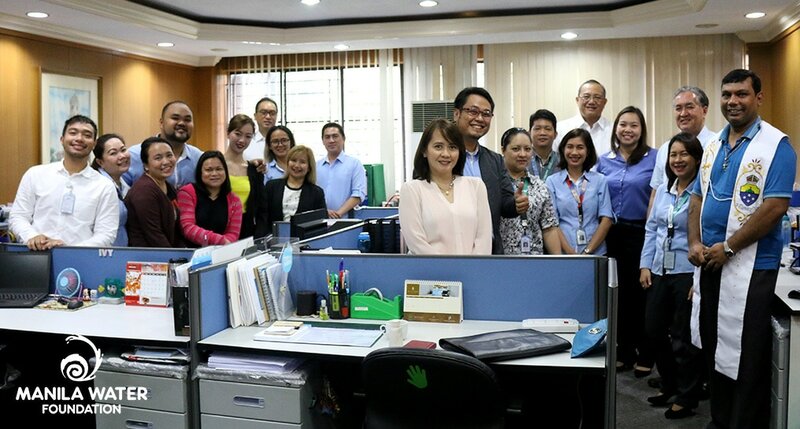 Photo shows Mr. Perry Rivera, Ms. Karoline Sangalang, Ms. Carla Beriña-Kim, Mr. Gerry Ablaza, Mr. Ferdz Dela Cruz, and Atty. Regie Lobo prior to the hearty brunch that capped off the office blessing and warming.